Hi Chris here today sharing this cute Easter tag using the mini stamp from the Anime Fairies 2 Stamp set. 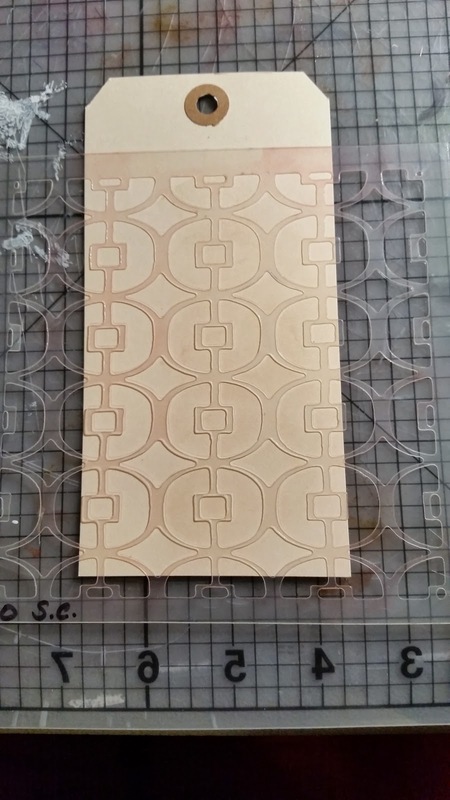 I started by inking over the Stencil #20 template using the Old Paper Distress ink. 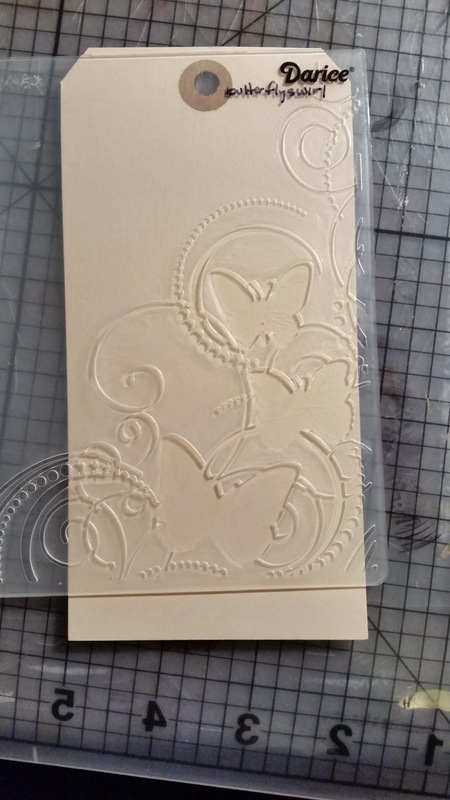 I then embossed the tag with my embossing folder. A little hint, I partially cut along the fold of the embossing folder just enough to allow the tag to slip through the embossing folder. 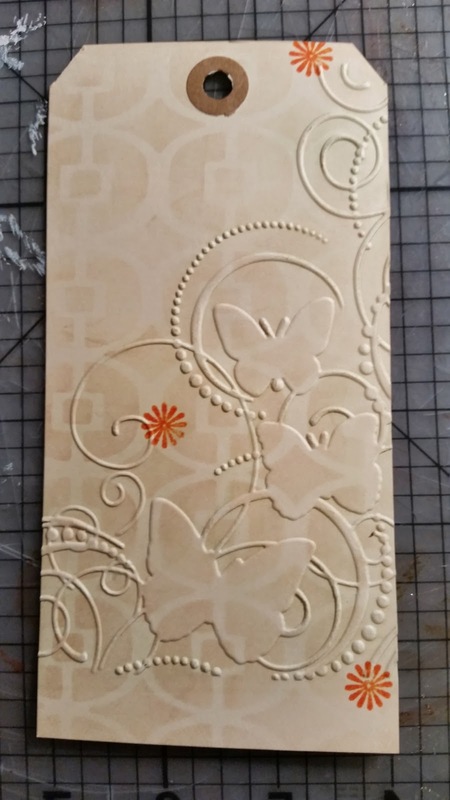 I then stamped some mini flowers on the embossed image using the mini flower stamp from the Anime Fairies 2 collection. I used the Distress markers to color directly on the stamps . I stamped the flowers in multiple colors. I added Liquid Pearls to the center of each flower. 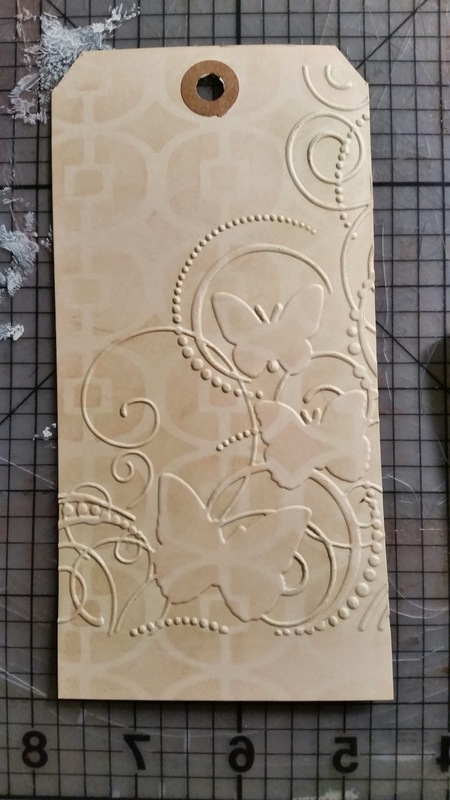 I then stamped the mini butterfly from this set onto vellum with Staz-on and then colored the back sid of the image with Copic markers. 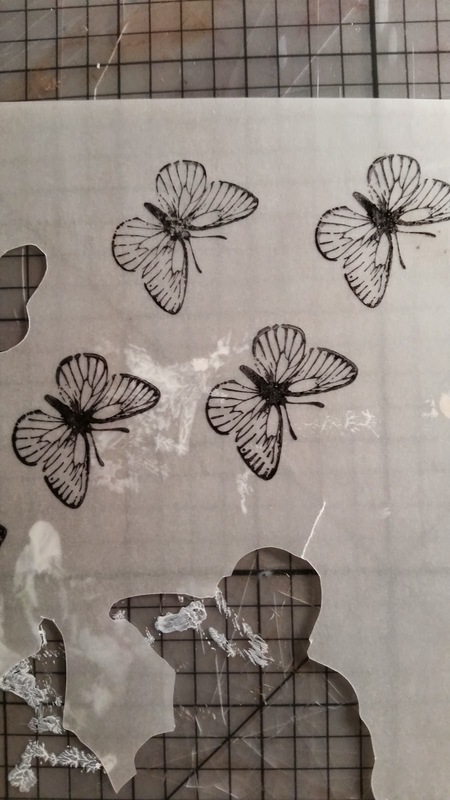 After fussy cutting the butterflies I attached them to the tag. I trimmed off the bottom of the tag that was not embossed. 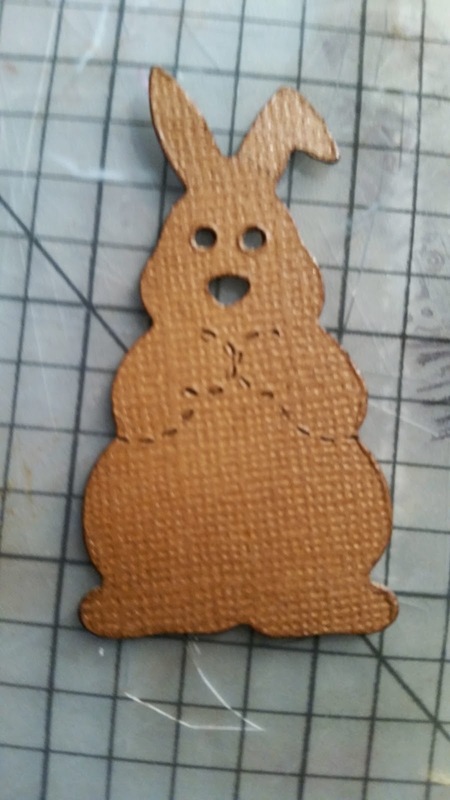 I die cut out the bunny and inked edges of the bunny with Walnut Distress Ink and added the bunny to the bottom of the tag. I added some ribbon and Baker's twine and matted the tag on card stock to finish off the tag. 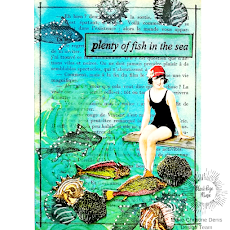 I had so much fun creating this tag I decided to use the same techniques and stamps to create this card. I sprayed Glimmer Mist all over the tag. After embossing the tag I "painted" the vines and flowers with distress ink and my water brush. 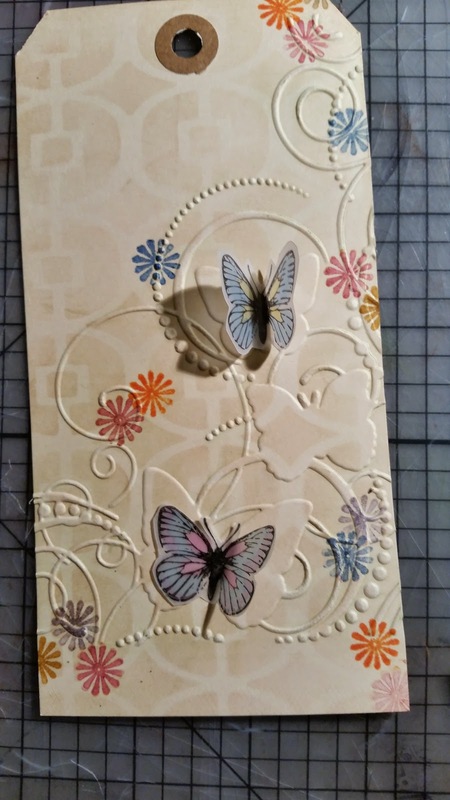 The butterflies were stamped on cardstock and then punched out with the Martha Stewart butterfly punch. 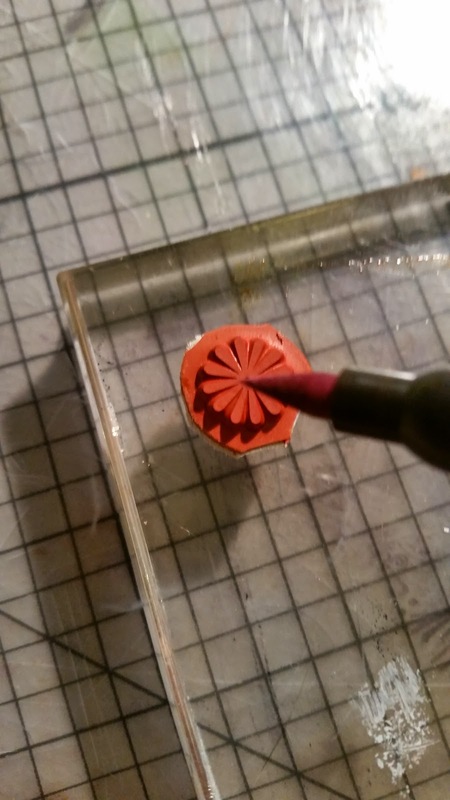 I layered the flowers from Petaloo with Fabri-Tac from Beacon Adhesives and added microbeads to the centers of the flowers using Gem Tac from Beacon Adhesives. I hope you are inspired to create some project using mini stamps. So cute, and just love all the "small" details! love both of these! Springtime and Easter are indeed in the air!